Our Pompeii Aventure for Kids is perfect for you if your kids are interested in archaeology! 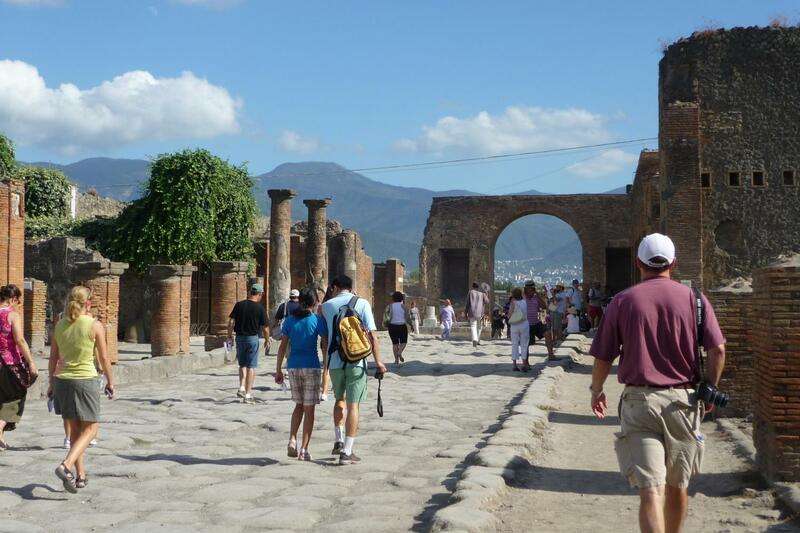 If you have not visited the Ancient Roman town of Pompeii yet, you shall not miss this tour then... With our private guide you will learn about ancient habits, uses and taditions. Our guide will tell you all about the eruption that destroyed Pompeii and will make you feel like time has turned back. 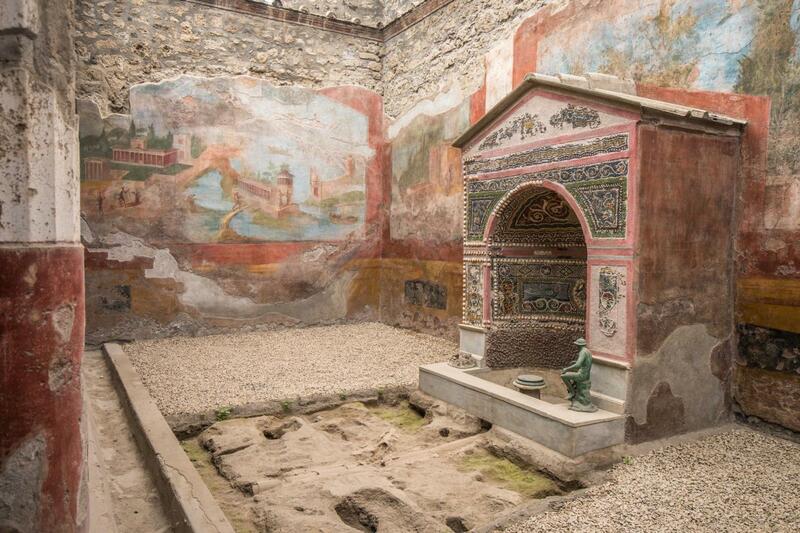 This tour is completely designed to maximize your little explorers' fun while visiting Pompeii's ruins. Stop hesitating! 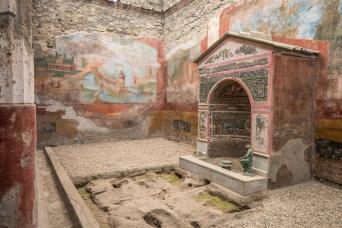 Book our Pompeii Aventure for Kids today! Our Pompeii Aventure for Kids brings the whole family back to Ancient Rome for 2 hours! You will visit the absolutely unique archaeological site of Pompeii escorted by a kid-friendly private guide, who is a real expert of history. The tour is designed specifically for families, so there is absolutely no way your kids will get bored during this tour. Being it a private tour, we are at your complete disposal to suit all your request and needs... Sounds incredible, doesn't it? Well, it is! 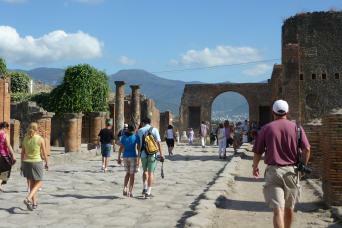 You will meet your private guide directly in Pompeii; this is where your 2-hour private tour begins. 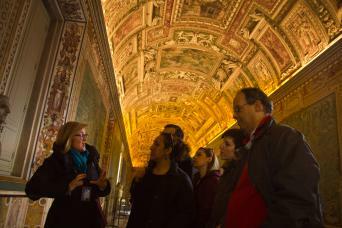 Our private guide will accompany you in a walking through the ancient Roman traditions. You will see the perfectly preserved town, just as it was during the ancient roman period. You will not believe your eyes, but it is all real! Let's go back to the 79 AD. In this year, the eruption of the Vesuvio Volcano buried the town and its inhabitants beneath ashes and dust. Though it has been an undeniable tragedy, this has preseved the town exactly as it was the day of the eruption. You will have the chance to visit well-preserved bath-houses, villas and temples, Roman domus, theaters, Roman paintings and even the bodies of people trying to escape! The whole family is going to be amazed by the story and the ruins of this eternal ghost-city! Thanks to the experience of your kid-friendly guide, the tour will be engaging and super fun for your kids as well... Your guide will be using special tools or even visual aids to teach you everything about history and art, without loosing your kids attention. Success is guaranteed; fun assured! 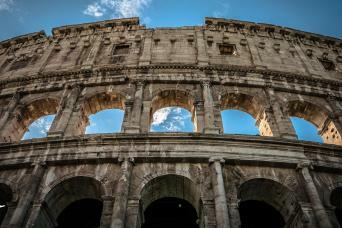 Are you ready to live the most incredible archaeological experience for families? Do you want to feel like real explorers for a day? Then, all you have to do is contact us or send us an email and we will arrange for you a Pompeii Aventure for Kids that you will never forget!